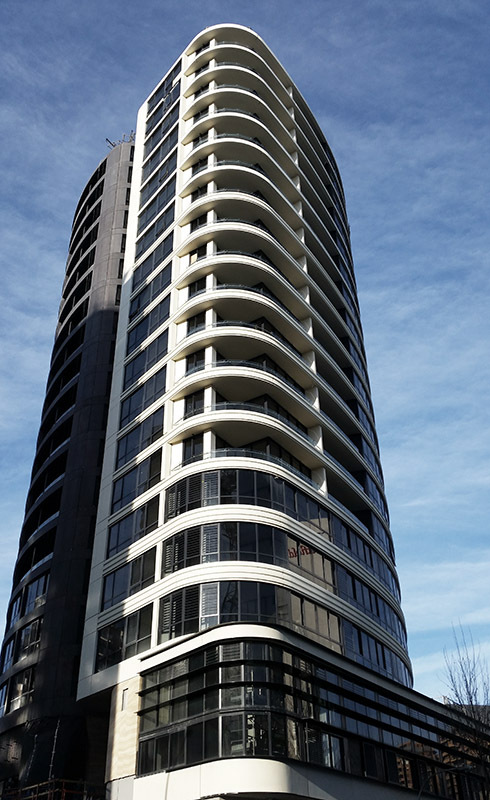 A 20-storey residential tower comprising an upper podium level, common facilities, double-height apartments and retail outlets on the ground floor. 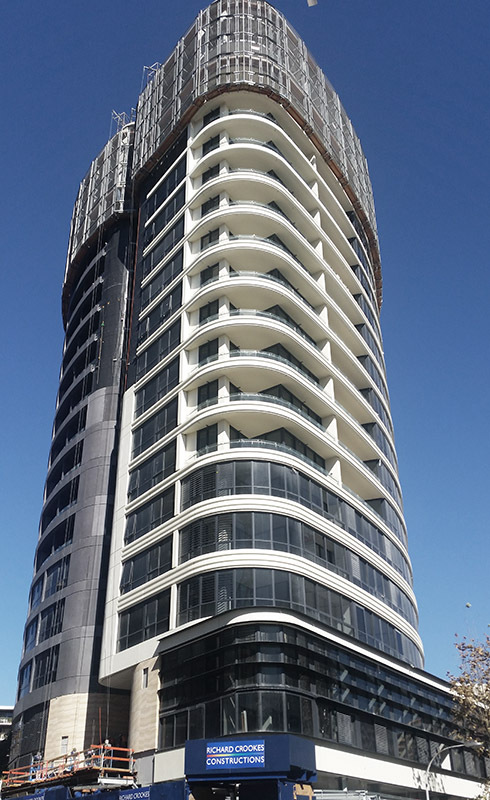 The towers façade is entirely curved with GRC wrapping each floor with glazing set back. 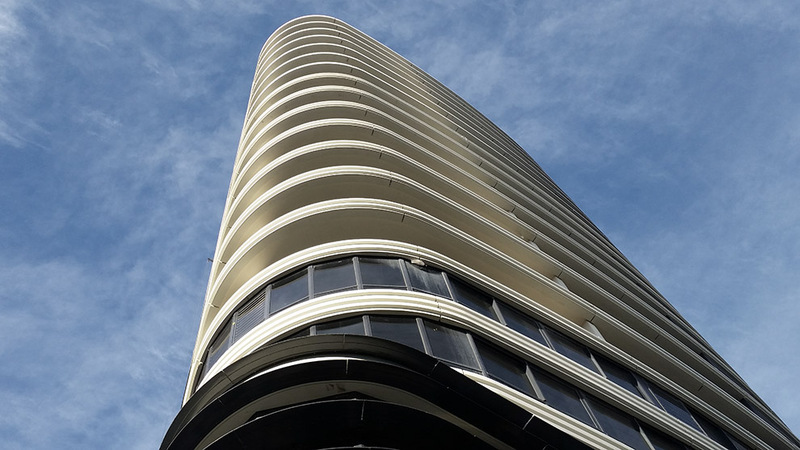 This complicated curved high-rise apartment located at Bondi Junction encompassed almost every facet of façade engineering. Inhabit was involved in the design development and structural engineering of the façade including GRC cladding, window wall system, louvres and sun-hoods and balustrades. Inhabit was also involved in the weatherproofing, identification and detailing of rectification works. The consultancy was also awarded to Inhabit who were heavily involved in the coordination of design packages and review of all façade design.